Dedicated Representation for Family Law & Criminal Cases. Over 35 Years of Combined Experience in Memphis & Surrounding Areas. Legal matters that affect your freedom and your family can be traumatic. The decisions you make and the counsel you seek at these times could affect the rest of your life. Whether you’ve been accused of a crime or are going through a divorce we have the skill, background and determination to achieve the best possible outcome even against difficult odds. We are located in Memphis and have more than 35 years of combined legal experience protecting the rights of Tennessee and Mississippi clients in family law and criminal defense cases. In every instance, we vigorously pursue complete solutions to your legal challenges while easing the emotional burden on you and your loved ones. 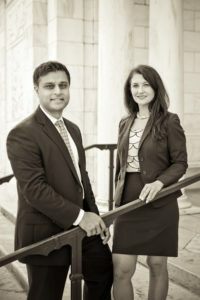 Strong reputation — In both high-profile felony trials and contentious domestic disputes, we have been recognized for providing exceptional representation and service. Because of this reputation, other firms have retained us to handle difficult cases. Assertive advocacy — We don’t look for the easiest way out of a legal matter, but work tirelessly to assert our clients’ rights in a way that maximizes the likelihood of a successful result. Regardless of the circumstances of your case or the adversaries you face, we are not intimidated and won’t let you be. Knowledgeable advice — It doesn’t matter if your situation is straightforward or highly complex: we are always available to clarify the relevant legal standards and can often find creative solutions that other attorneys miss. For any legal matter, it’s important not to hesitate in finding skilled counsel: the ability to protect your rights is time-sensitive. Whatever obstacles you might face, we’ll get right to work creating an effective strategy, starting with an initial consultation. Family law — Attorney Laurie Hall handles a full range of family law issues, including adoptions, proceedings addressing child custody, and support arrangements. 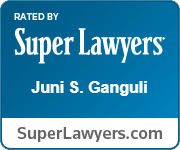 Criminal defense — Over two decades of criminal defense practice, attorney Juni Ganguli has established a significant record of winning dismissals and acquittals in cases alleging drug crimes, weapons offenses, and other felony and misdemeanor charges. Divorce — If you’re going through a divorce, attorney Laurie Hall will pursue fair terms for alimony, property division and other aspects of your marriage dissolution. By taking the time to understand your values and concerns, we give you the best chance to start the next phase of your life successfully. DUI defense — Motorists arrested for drunk driving often feel pressured to surrender their rights, especially if their blood alcohol test result exceeds the legal limit. It’s important to realize, however, that defenses might be available that could keep you out of jail and allow you to maintain your driver license. We will conduct a thorough investigation to determine if your charge is based on an error or overzealous enforcement. Domestic violence — A domestic violence conviction can have a permanent impact on your ability to spend time with your children or own a firearm. No matter what precipitated the dispute, we can help protect you from unwarranted punishment. Every person we represent receives personalized attention and a detailed assessment of their legal options. After discussing the potential consequences of each choice with you, we take assertive action on your behalf. We assist clients in Memphis and the surrounding areas in criminal defense and family law matters. Please call 901-842-9564 or contact us online to schedule a consultation. We are located on Adams Avenue in Memphis, just a couple blocks from the Shelby County General Sessions Court. Ganguli & Hall is a professional association of attorneys.